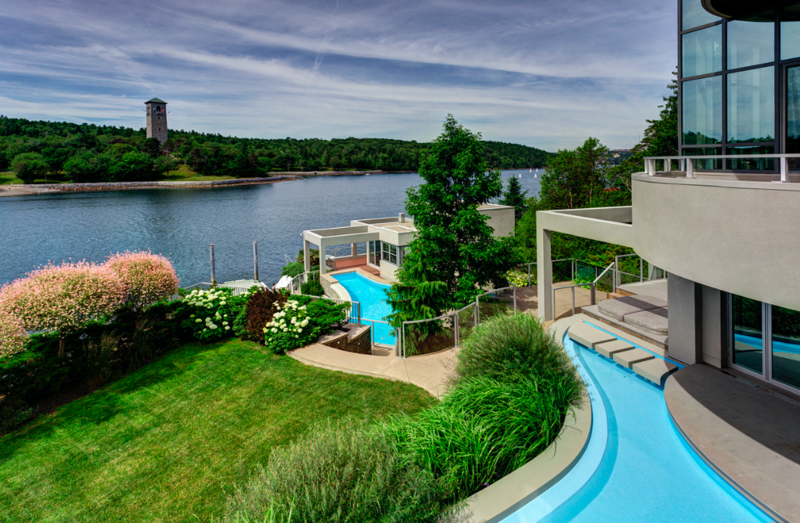 Gold mining guru Bradley Langille is selling his quaint 10-bedroom property. The balconies and terraces are made of Jatoba wood, whatever that is. As gaggles of students cram themselves into tiny apartments shared with far-too-many roommates this week, it’s good to take a moment and look at how the one percent are living. 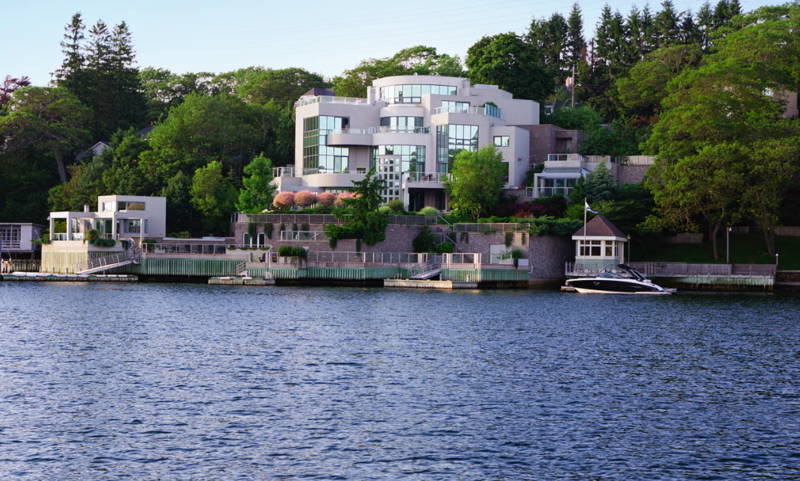 Like gold mining baron Bradley Langille, who’s selling his unavoidable Northwest Arm mansion. Asking price for the 10-bedroom, 10-bathroom compound? A cool $10 million. The property’s 2016 assessed value is listed at $4.5 million. The house and its various satellite buildings (pool house, guesthouse, boathouse, greenhouse) technically have an Oakland Road address, but its more recognizable from the back for the way it looms over the Arm, dwarfing its neighbours. Aside from the bedrooms and bathrooms, whoever purchases the property will get their own marina, walnut flooring, granite countertops and propane fireplaces. The main house also featured an elevator, home cinema (with 10-foot screen and popcorn bar) and a fitness and games area with sauna and steam room. The master bedroom comes with his and hers dressing rooms and a five-piece ensuite bathroom. The president and owner of Coldwell Banker Supercity Realty says selling a multimillion dollar property—like everything else these days—is dependent on social media. The Supercity team produced a slick website and video tour that’s already collected thousands of shares on Facebook. “The biggest one was to get everybody talking about it, which we did through social media,” says Cowen, who claims to have already had interested parties from Ontario and Switzerland (as well as some locals). Now the president and CEO of GoGold Resources, Langille built the house ago several years ago with some of the fortune he made co-founding Gammon Gold (now AuReco Gold). The property was also where Langille was almost kidnapped—twice—by Aaron Patrick MacDonald in 2012. The 18-year-old broke into the house two times in six days trying to abduct Langille before being detained by security guards. MacDonald was sentenced to five-and-a-half years for the crime, minus two years for time served. Cowen says the Langille family is looking to downsize from the 20,000-square foot piece of land. It’s been a year since Full Moon Tiny Shelters built its first teensy home, and since Dawn Higgins has been living in it.